To whom it may concern I purchased this ashtray because of the style. It is very different in style and look very nice. This ashtray hide the ashes. The look of the Globe in the stainless steel is sweet the ashtray is small in size. 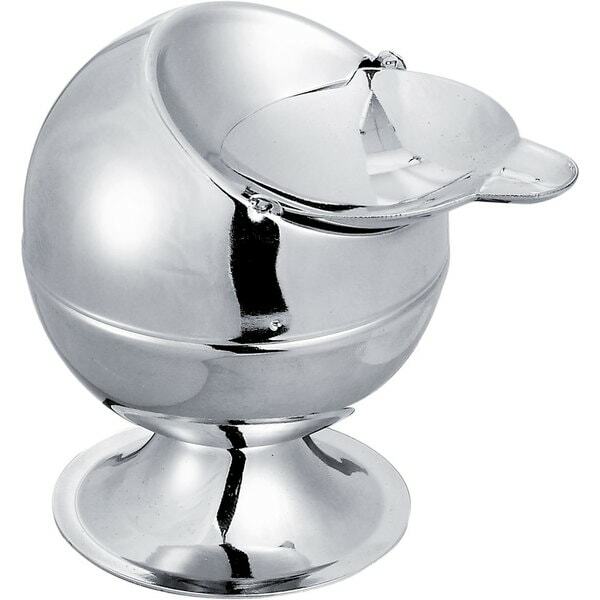 Premium Quality Stainless Steel and comes with 1 Cigarette Rest and Removable Ashtray Top.